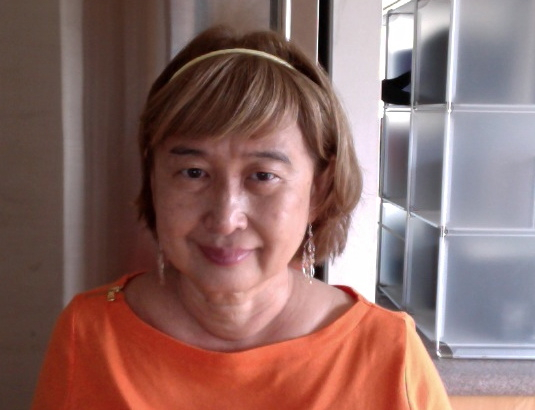 Pat Matsueda is the managing editor of Mānoa: A Pacific Journal of International Writing and the author of Stray (El León Literary Arts, 2006). She is working on a novel, Bedeviled, an excerpt of which appeared in Eleven Eleven, the literary journal of the California College of the Arts. Pat: In your novel The Infamous Doctor Dee, you have a very sinister character: a psychic named Edward Kelley. Over a few months, Kelley manages to bring John Dee, a university professor studying the paranormal, under his influence, and eventually, Dee’s wife succumbs too. Thinking about Kelley recently, I realized that he has some things in common with Ted Koga, a character in a novel I am working on. Both men have brushes with the law, have a propensity for violence, are psychoanalyzed by women doctors, and have exploitative relationships with women. In this conversation, I’d like to explore how and why we came to create these characters. Perle, can you describe the real-life people your Edward Kelley and John Dee are based on? Perle: I came across John Dee while working on my doctoral dissertation, which I later turned into a book, The Private Labyrinth of Malcolm Lowry: Under the Volcano and the Kabbalah. I had been studying the ancient Jewish mystical roots of what, in the European Middle Ages, became the Christian Kabbalah, the underpinning for all Western mysticism, particularly in its influence on British literary figures like Shakespeare, Blake, Yeats, and, in our own times, Malcolm Lowry. It was as I was working on Shakespeare’s plays that I learned about John Dee, astrologer, Kabbalist, and political advisor to Queen Elizabeth I. What fascinated me most about this colorful Renaissance figure was Shakespeare’s remarkable characterization of him as the magician Prospero, in The Tempest. Reading further into Dee’s life and times from his original manuscripts at Oxford’s Bodleian Library, it was as though I’d entered into that story, or rather, that Dee’s story, life, and times, had entered into me. Pat: How did you come to write about Kelley? How did he enter your imagination? Pat: Are there ways in which your Kelley started to act differently or make different choices as a result of being in the fictional world you created? I ask because of my experience with Ted. My story incorporates the experiences of men and women I know. When I started writing it, Ted’s behavior and personality matched pretty closely those of a man I know. However, as I started to write more, he began to act in different ways—and to make different choices. I am about halfway through the story, and I feel that Ted has made the leap from real life to fiction; that is, he is now determining his own fate and helping to shape the story I am writing. One thing that set him on this path is the development of a secondary character in the story: his daughter. Perle: I think Kelley is pretty consistent; he starts out as a semi-fraudulent but gifted psychic intent on using his “betters” to escape his criminal past, but he remains throughout a prisoner of his own childhood, part thug, part aspiring theologian. A toxic mix of spirituality and greed are what make Kelley what we’d call “schizoid” today. He yearns for love, is even capable, at times, of expressing real compassion, and acting on it, when, for example, he uses his mental powers to heal without thought of gaining anything for himself—but even in those moments, he’s got his sights on the seduction of Dee’s wife. So, I can’t say that Kelley “makes different choices” and presumably develops into a better person, as I imagine Ted does. When women get together, they often talk about the men in their lives: fathers, husbands, boyfriends, sons, co-workers, and so forth. Recently, Perle Besserman and I had a conversation about another male cohort—characters we have created in our fiction—and how the fates of these men play out in the hands of us, their female creators. Perle talked about John Dee and Edward Kelley, two characters in her novel The Infamous Doctor Dee. I talked about Ted Koga, a middle-aged blue-collar worker in The Devil I Know, a novel-in-progress. In Perle’s story, Dr. Dee and Kelley move ineluctably toward their fates. In my story, Koga’s fate eventually shifts from my control to his tenuous agency. Perle and I identified similarities and differences between Koga and Kelley. We talked about betrayal and infidelity, about the predatory impulses of Koga and Kelley, and about the ways we, as women and writers, react to such predation. There were times when we seemed to feel much the same about the ways in which our characters had intruded in our imaginations, and other times when the differences in our philosophies and approaches surprised us. We learned more about each other as friends and writers and found this process invigorating and enjoyable. I feel that when women talk and when they write, they sometimes draw on an ancient wisdom. If there is any wisdom in the conversation Perle and I had, I hope it is to the benefit of men and women alike.